Medical implants designed to improve lives are actually injuring or even killing people — and regulators aren’t doing much to stop them. That’s the main takeaway from The Implant Files, a year-long investigation of the manufacturers of devices such as pacemakers, artificial joints, contraceptive coils, and pain pumps spearheaded by the International Consortium of Investigative Journalists (ICIJ). The investigation turned up a system rife with monetary payoffs by device manufacturers, inadequate oversight by government agencies, and a troubling lack of communication between the medical community and patients. According to the ICIJ, The Implant Files is the “first-ever global examination of the medical device industry and its overseers.” For the investigation, ICIJ journalists teamed up with 250 reporters and data specialists working for 58 media organizations in 36 countries to review device incident reports, analyze health records, and conduct patient interviews. Just one source of information — the more than 5.4 million “adverse event” reports sent to the U.S. Food and Drug Administration over the past 10 years — revealed that faulty medical devices caused 1.7 million injuries and almost 83,000 deaths over the last decade. According to the ICIJ investigation, money is at the center of the issues surrounding medical devices. Between 2000 and 2018, the medical device industry grew from $118 billion to about $400 billion. That means companies can afford to pump money into lobbying efforts that put pressure on regulators to approve devices that might not be ready for market. When a problem does arise with these devices, the companies also have the means to pay off patients or settle any fines levied at them by regulators. 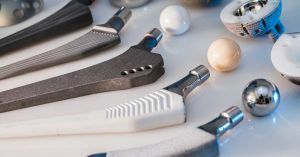 As part of its investigation, the ICIJ created the International Medical Devices Database (IMDD), a searchable collection of recalls, safety alerts, and field safety notices from 11 countries. The hope is that this will help patients find out whether or not a new implant — or an implant they might be considering — has a history of safety issues. Based on the research, the top priority of the people creating and approving implantable devices isn’t patient health — it’s money.